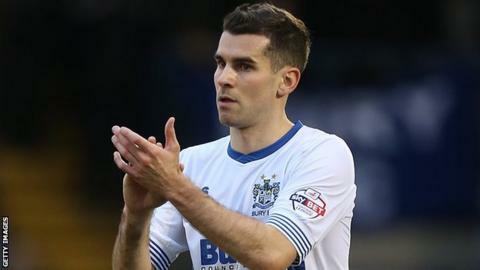 Striker Daniel Nardiello has signed a contract extension at League One side Bury. The 32-year-old, who was offered the new deal in May, has scored 29 goals in 71 appearances over two spells with the Shakers. "The deal was offered to him at the end of last season but he did have quite a few good options," manager David Flitcroft told the club website. The length of the new contract has not been disclosed by the club. Bury now boast six forwards in their squad, with new signings Leon Clarke and Tom Pope joining Nardiello, Hallam Hope, Ryan Lowe and Danny Rose.